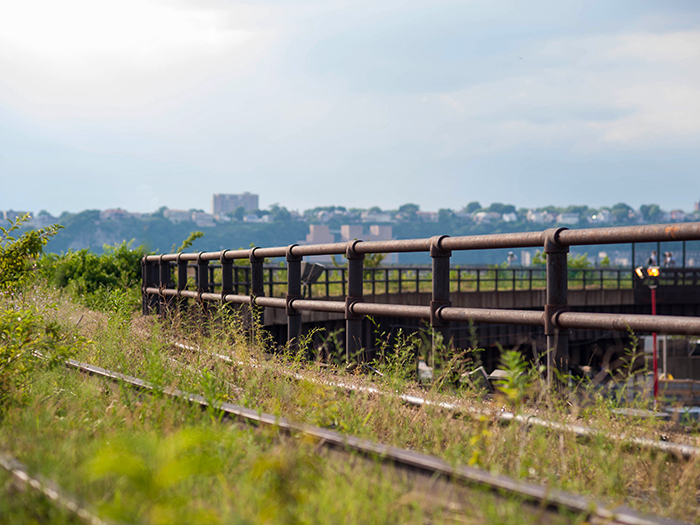 Today, Friends of the High Line, along with our partners at the New York City Department of Parks and Recreation, is proud to announce that the third and northernmost section of the park, the High Line at the Rail Yards, will open to the public on Sunday, September 21, 2014. The opening of the High Line at the Rail Yards will be a momentous occasion for all of us – our neighbors, City officials, generous members and supporters, designers, construction workers, gardeners, and volunteers – who gave their time, energy, and funding over the years to save the High Line from demolition, and reimagine the very notion of what a public space could be. It will be the realization of our original dream for the High Line: to transform the entire structure, enabling visitors to walk all the way from Gansevoort Street to 34th Street. For the first time, we will all be able to walk the length of the High Line – traversing 22 city blocks, uninterrupted, 30 feet in the air, with expansive views of New York City, and the Hudson River. I hope you’ll visit the High Line to walk the Rail Yards section, from 30th Street and 10th Avenue, to the curve near 12th Avenue, and up to 34th Street. Along the way, you will experience new design features and plantings that will animate this new section of the High Line, with newly planted trees and perennials selected by Piet Oudolf, innovatively designed seating areas, and pathways installed in the High Line’s original rail tracks. For the first time, you will be able to walk along the self-seeded grasses and wildflowers that have grown along the tracks in the years since the trains stopped running. There’s so much to experience in the Rail Yards section. It’s truly spectacular. We hope you will join the celebration of this historic milestone. We will be celebrating with a full week of programs, with something for everyone. Beginning Monday, September 22, from dawn until after dark, we will host wellness programs, live music and performances, educational talks and tours, after school programs and so much more. Read all about our opening week activities – and our year-round programs – at www.thehighline.org. We could have never reached this opening moment without the tremendous efforts of our neighbors, our community, our supporters and partners, who built momentum for the project from the days when it was the most unlikely of dreams. Thank you for supporting Friends of the High Line and for making the opening of the Rail Yards possible. I hope to see you on the High Line this fall!